People often think they don’t need to worry about security because they have nothing of value to an attacker. In October Brian Krebs posted an updated chart on the value of a hacked computer. 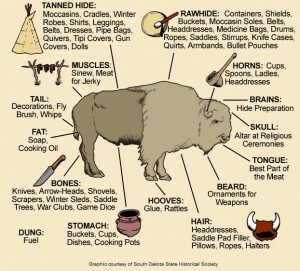 The Indian is reported to have used every part of the buffalo, letting none of it go to waste. While not every bad guy is going to treat your computer as something to be revered so if compromised you must wring every dollar out of it, any one of these items is a financial motivator for them to attack any computer user. The original poster by Krebs is below. This diagram has now been updated by SANS. Your accounts can be sold. 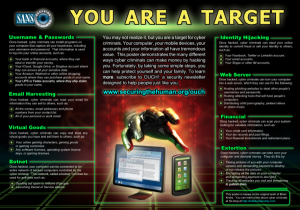 Your data can be held for ransom. Your computer can be used to attack others or host malicious files to infect others.